Former State Senators DiAnna Schimek and Tom Carlson provided Lincoln South Rotary Club with an overview of the Capital Courtyard Gardens project on November 2, 2018. The Nebraska Association of Former State Legislators is leading the campaign to restore landscaping of the courtyards inside the Nebraska State Capital. The campaign is for $1.4 million campaign to establish an endowment to preserve the gardens. When we began using the Capitol in 1932, the building was incomplete. The interior courtyards had landscaping but no fountains. The State provided $3.1 million for the fountains, which were installed and dedicated in 2017 during the Sesquicentennial celebration. The landscaping project was not part of that. But, now that the fountains are in place, the group wanted to restore the landscaping which has been missing for nearly 60 years due to lack of funds. This is a big project which will start with irrigation and drainage - one garden at a time. 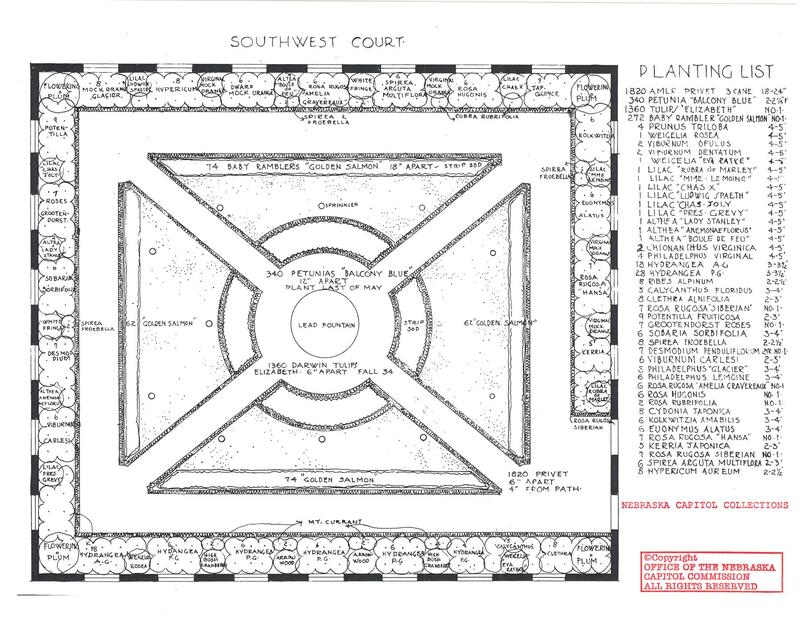 Nebraska native Ernst H. Herminghaus created the original landscape plan for the four courtyards. His education and training in landscape architecture, and his understanding of Nebraska’s geography, climate and plant material qualified him to create a landscape to enhance and complement the capital building design. The courtyards were landscaped following his plans in 1934 but lack of resources resulted in abandoning the plan in the 1960s. The original landscaping plans are being used to recreate the landscaping, with a little updating of the selected plants due to current climate. Though each garden has basically the same pattern, there will be variations in the colors from garden to garden.